Our Board Certified veterinary ophthalmologists (Diplomates, American College of Veterinary Ophthalmologists) have extensive experience in all aspects of ocular examination and advanced ocular imaging in all laboratory species, from evaluation of the ocular surface to the posterior segment of the eye. In addition, all 10 of our clinicians are harmonized in the use of a standard evaluation system developed by OSOD. Our clinical team is also available to: provide ocular surgical support for adnexal, periocular, and intraocular procedures; to consult on all aspects of study design; and to provide expert interpretation of the full range of imaging endpoints for all animal species. The slit lamp provides a focused light source and magnification which permits an examiner to assess ocular structures in detail. By varying the width, angle, alignment, and intensity of illumination, an examiner can detect irregularities of the eyelids, conjunctiva, or cornea; note changes in pigmentation or corneal and conjunctival thicknesses; identify and quantify aqueous flare, aqueous cells, and anterior vitreous cells; and localize corneal or lenticular opacities. Ophthalmoscopic techniques are invaluable for the complete examination of the eye’s posterior segment (vitreous humor, retina, choroid, and optic disk). Direct ophthalmoscopy provides a high magnification, small field view of the fundus. Indirect ophthalmoscopy provides a less-magnified but wider field of view, suitable for assessing larger lesions or lesions at the fundus periphery in all laboratory species. All OSOD examiners have extensive experience with a variety of scoring systems (e.g. McDonald-Shadduck, Draize, Hackett-McDonald, Standardization of Uveitis Nomenclature (SUN)) in the context of ocular drug and device development. OSOD has also recently published a critical review of 138 unique slit lamp-based scoring systems. Additionally, through iterative interaction amongst its clinicians in the conduction of thousands of preclinical studies, OSOD has evolved its own unique scoring system to better meet the needs of modern ocular drug/device development programs. A variety of vital stains or dyes can be used to characterize the health of the ocular surface or the toxicity of a topically applied compound. OSOD examiners have experience in the use and interpretation of ocular vital stains such as fluorescein sodium, lissamine green, and Rose Bengal. 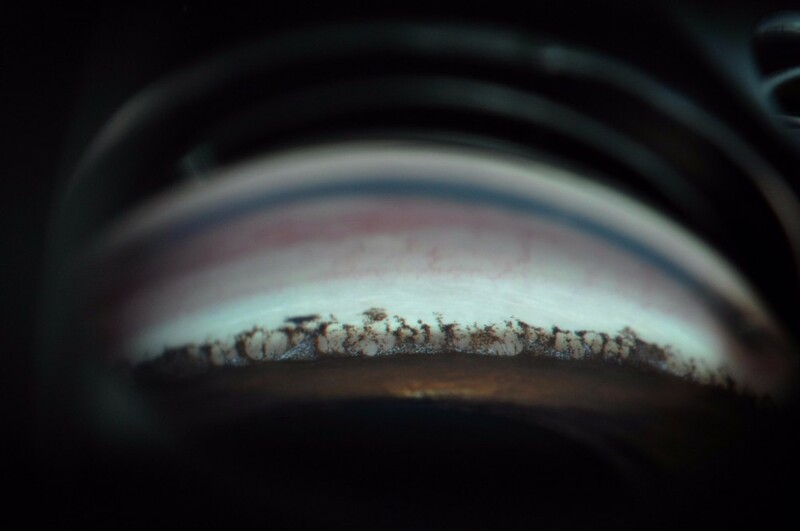 Additionally, fluorescein staining is used to monitor the impact of compounds on corneal wound healing. The Schirmer Tear Test (STT) is a standardized test measuring aqueous tear production. Reduced or excessive tear production may signal ocular infection or disease. 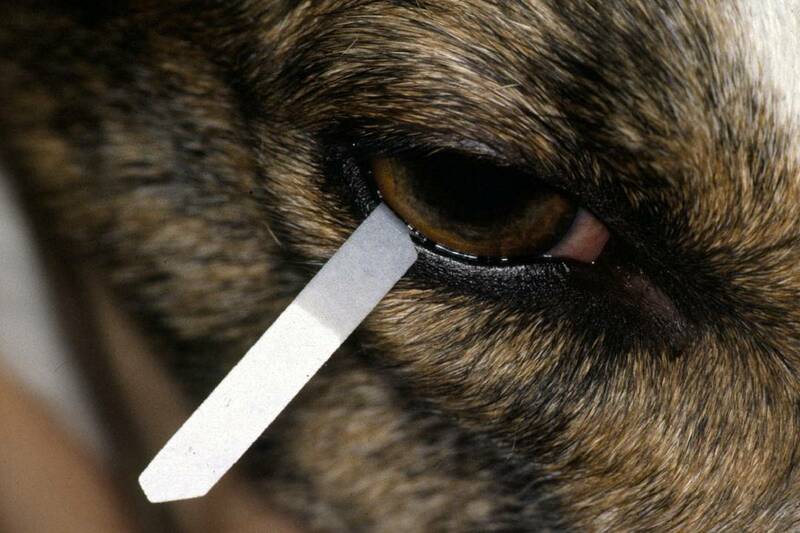 A calibrated, absorbent strip is inserted beneath the lower eyelid and the amount of resulting wetness on the strip is compared with normative values. OSOD's clinical experts have experience performing and interpreting both STT I (reflex tear production) and STT II (basal tear production). Intraocular Pressure (IOP) measurement (tonometry) uses a tonometer to measure the pressure (measured in mmHg) within the eye. Alteration in IOP may represent a desirable effect of an anti-glaucoma drug or an adverse or toxic effect (i.e. ocular hypertension). Applanation tonometry: A topical anesthetic is applied to the surface of the eye, and the tonometer is used to flatten (applanate) a small area of the cornea. 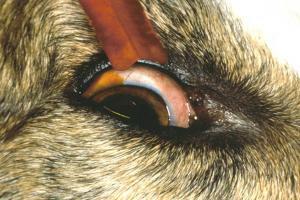 Intraocular pressure is measured when the probe makes contact with the cornea. Applanation tonometers include: Tono-Pen TM, pneumotonometer, Goldmann tonometer. Rebound tonometry: A small, magnetized probe is bounced against the cornea and then back into the tonometer, creating an induction current that is used to calculate intraocular pressure. Rebound tonometry may be advantageous, as topical anesthesia is not required and the instrument's calibration can be varied by species. The most common rebound tonometer is the TonoVet TM. OSOD's clinical team members routinely use both types of tonometry in all species and can help guide you and your team regarding optimal choice of tonometer for a particular study. 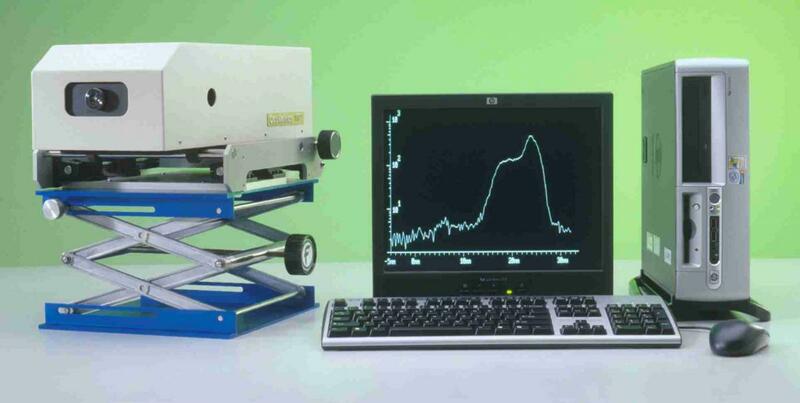 Corneal esthesiometry assesses the sensitivity of the cornea. By mechanically stimulating corneal nerves, an esthesiometer is used to obtain accurate assessments of the cornea’s sensitivity threshold. Preclinical safety studies may use esthesiometry to ensure that investigational compounds do not alter or adversely affect corneal nerve function. Ultrasound pachymetry is commonly used to measure corneal thickness. A corneal pachymeter is an ultrasonic probe that, once applied to the anesthetized cornea, enables precise measurement of corneal thickness. Preclinical safety studies often use pachymetry to ensure that investigational compounds do not alter corneal thickness (which may be an indicator of adverse effect on corneal endothelial function). Clinically, pachymetry is also useful in the evaluation of corneal diseases and may be used in the diagnosis of ocular inflammation (uveitis) and the detection of glaucoma. 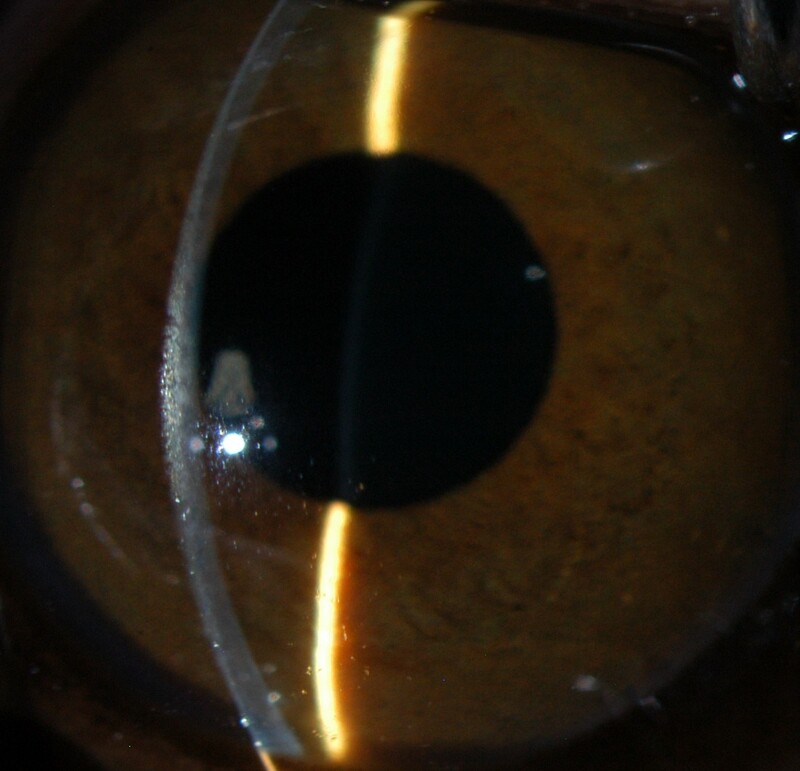 A specialized goniolens is used in conjunction with a slit lamp biomicroscope to assess the iridocorneal angle (the aqueous drainage angle). Gonioscopy may prove useful in evaluating test materials which are being delivered to the anterior chamber and for investigational studies involving glaucoma therapeutics. Pupillometry measures changes in the degree and/or speed of constriction or dilation of the pupil following light stimulation or administration of a drug. Pupil diameter may be altered by compounds that affect the sympathetic or parsympathetic divisions of the autonomic nervous system. OSOD experts can measure episcleral venous pressure, aqueous humor production, and aqueous humor outflow (conventional and uveoscleral) using a variety of techniques and instrumentation. Evaluation of these parameters is useful for characterizing the mechanisms of action for antiglaucoma drugs, and can also be used to explore the mechanism of action or toxicity of a compound. Topical Administration: Administration of agents to the ocular surface and adnexa is commonly performed to evaluate numerous ophthalmic agents of various classes and for numerous indications. Subconjunctival Injection: Injection of drugs and agents beneath the conjunctiva (or beneath Tenon's capsule) may enhance both tolerability of treatment, and intraocular drug penetration. Intracameral Injection: Injection into the anterior chamber is commonly performed to directly delivery drugs or other therapeutic agents to the anterior segment, bypassing some of the mechanisms that prevent penetration by topically-applied agents. Intravitreal Injection: Intravitreal injection is the most common route for administration of drugs or therapeutic agents to the posterior segment and retina. Currently, the most common market-driving drugs for treatment of age-related macular degeneration (AMD) are administered via intravitreal injection. Subretinal Injection: Recently, injection of agents into the subretinal space is more commonly investigated as a route of delivery for drugs and other therapeutic and biologic agents to the posterior segment and retina. Our team of ophthalmologists is skilled in this procedure in non-human primates, dogs, rabbits, and rodents (rats and mice). Retrobulbar Injection: Injection of agents into the retrobulbar (orbital) space is an uncommon, but possibly efficient route of delivery for certain ocular therapeutics. This procedure may be performed in different species using a variety of techniques, and may also be facilitated using ultrasound-guidance. Our Board Certified physician and veterinary ophthalmologists have unrivaled experience in ocular surgery and microsurgical techniques for the establishment of animal models, development of novel models for human disease, and implantation of novel or investigational ocular implants or devices. All procedures are performed using high-quality and advanced equipment and in tandem with experienced surgical technician teams. If you would like to learn more, or are interested in consulting with OSOD regarding a clinical procedure, dosing route, or surgical procedure not listed here, do not hesitate to CONTACT US.